SaSa has always been my go-to store whenever I want to get some drugstore makeup or just to test out some fragrances. 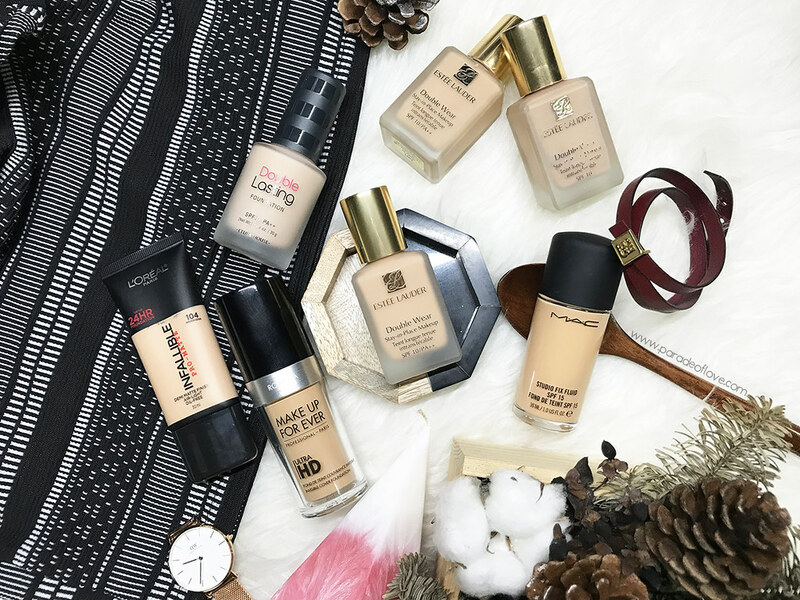 They carry a whole collection of makeup, skincare, fragrances – anything, you name it! It’s like walking into a big girl’s wonderland! To delight your sense of smell, SaSa presents French perfumist, TOUS TOUCH. 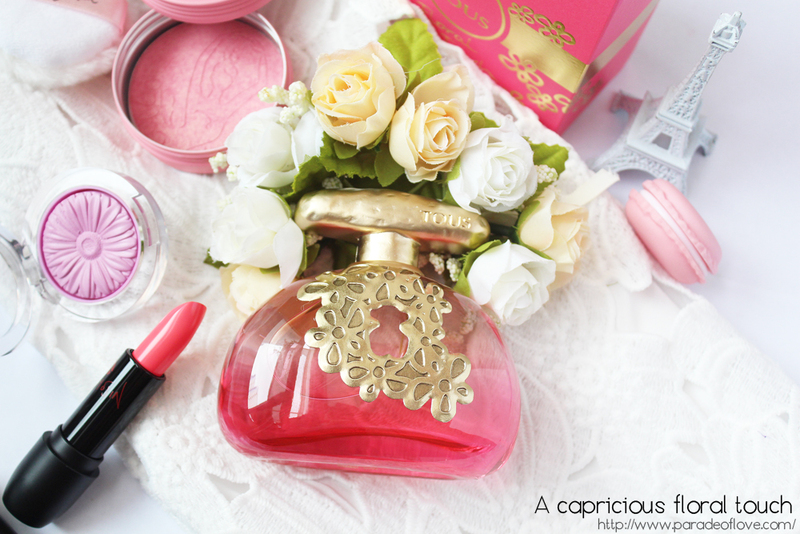 TOUS has launched TOUS Floral Touch, a fragrance that takes you into a garden of Summer floral blooms. Imagine having a bouquet of flowers in your hands – think gardenia, jasmine and tuberose. That’s about how I’ll describe the sweet, citrus scent of this fragrance. Reflective of a dainty young lady, the TOUS Floral Touch glass bottle is embraced by a delicate tin laminate, decorated with flowers among which the TOUS bear figure appears. Such elegance with a hint of playfulness, don’t you think? One of the main traits of this fragrance is that the floral accent is always situated at the heart of the olfactive pyramid. The fragrance opens up with its strong honey-citrus top notes of mandarin and bergamot, complemented with violet leaves. The majestic heart is repleted with silky white flowers. With the sweet aroma of gardenia blends and the intoxicating power of tuberose comes the queen of the composition – fresh, calming jasmine. The base? A warm blend of sandalwood and musk with a delicate fruity hint of nectarine. 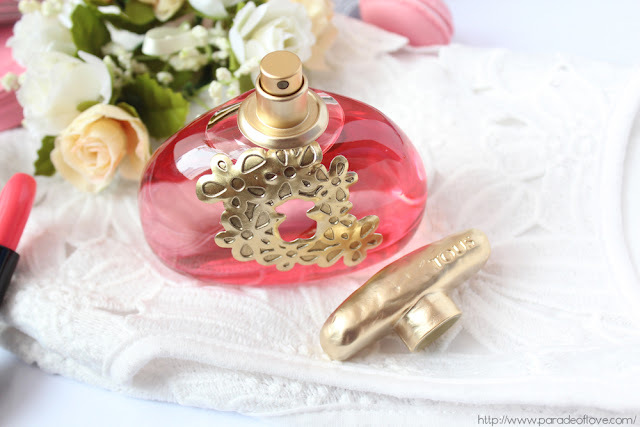 In my opinion, this fragrance will be an endearing addition to any jasmine scent lovers. Personally, I don’t fancy fragrances with jasmine because I find that jasmine scents are too overpowering, hence the scent didn’t really stick with me. If you know me, you’ll know that rose scents are my absolute favourites. Nevertheless, I like how exquisite the packaging looks. It makes a lovely table top display piece, bringing out the girly-ness in you. 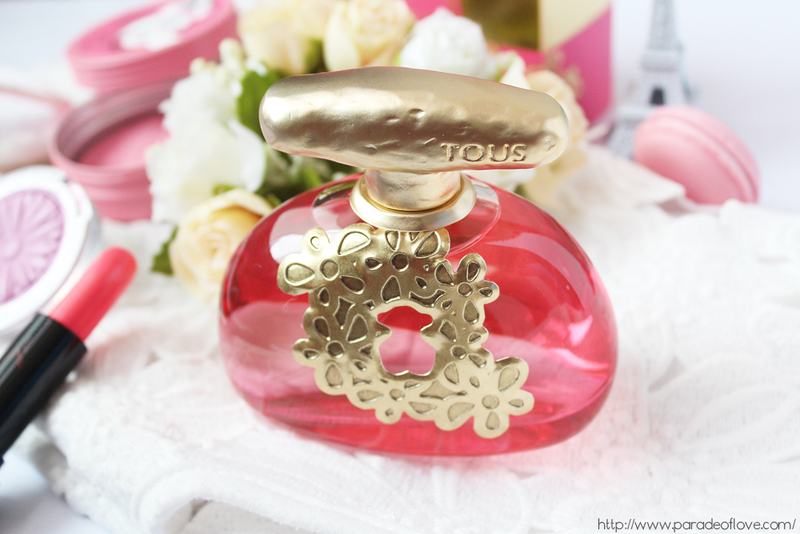 TOUS TOUCH Floral Eau de Toilette is retailing at S$59 and S$99 for 30ml and 100ml respectively, at all SaSa stores. Disclaimer: The EDT was given by SaSa Singapore for consideration. The above review is based on my true and honest opinion without influence from others. It also contains information from the brand. I am not compensated by/affiliated with the brand.